In case you haven’t heard, there is a new and rising superfood to keep tabs on: Moringa! It's been all the rage lately, taking over both health and beauty worlds at a rapid speed. In this read, I have the pleasure of giving a crash-course on this hardy plant, along with a few tips & tricks on how it can be easily incorporated into one's overall wellness. Meet the “Miracle Plant”, Moringa Oleifera, also known as the drumstick tree. Originating in the Sub-Himalayan areas of India, Pakistan, Bangladesh, and Afghanistan. From its leaves to its roots, it’s all together nutritious, multi-purposeful and used in all sorts of facets - medicinally, environmentally, nutritionally, and even cosmetically. All the excitement is understandable: its nutrient-rich leaves are loaded with 9 amino acids, antioxidants and a generous variety of vitamins, proteins and minerals; innately having the ability to reverse undernourishment, treat anemia, thyroid problems, and a plethora of other metabolic disorders. Due to it being cheaply and easily grown, it is found to be a sustainable and economically sound food source for populations who suffer from chronic or seasonal micro and macronutrient deficiencies. In addition, it has a remarkable ability to improve our environment by having one of the highest rates of carbon dioxide absorption. It is said that Moringa is 20x more effective than other trees, showing that it is a formidable force in preventing global warming. Moringa is naturally vegan, caffeine-free and gluten-free - a universal food source. It is said that, Moringa Oleifera has 4 times the vitamin A of carrots, 7 times the vitamin C of oranges, 4 times the calcium of milk, 3 times the potassium of bananas, ¾ the iron of spinach, and 2 times the protein of yogurt (Trees for Life, 2005). Be encouraged to load up on this mighty plant! You have the option to enjoy Moringa in fresh or powdered form. And the leaves, which taste a bit peppery, similar to arugula, are a good source of protein and iron. Try practically implementing this leaf into your diet by adding a sprinkle of Moringa powder into your morning smoothie, atop a simple salad, mixed in vegetable soup, baked-goods, or even infused in herbal tea's. These simple additions can help you yield its nutritional benefits in a fun and pragmatic way! Speaking of pragmatic, try one of my herbal tea recipes, it's super refreshing and simple to create. And just in case you're interested in an additional source of plant based iron & vitamin C, Moringa's got your back! The bioavailability of iron and vitamin C found in this plant creates an increased rate of iron absorption. Vitamin C helps the body absorb iron at a quicker rate, as well as playing an important role in synthesizing red blood cells. 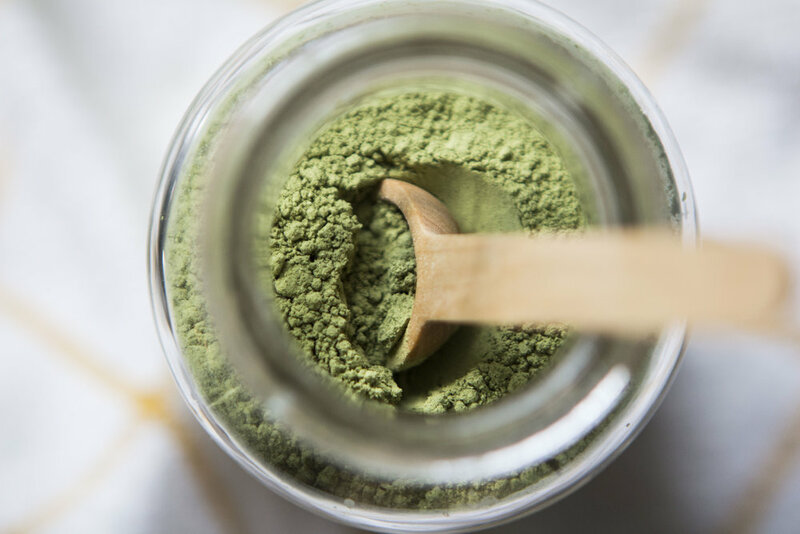 Moringa supplementation offers a simple and holistic approach to boosting iron and vitamin C levels, so try adding 1-2 tbsp to your daily diet. 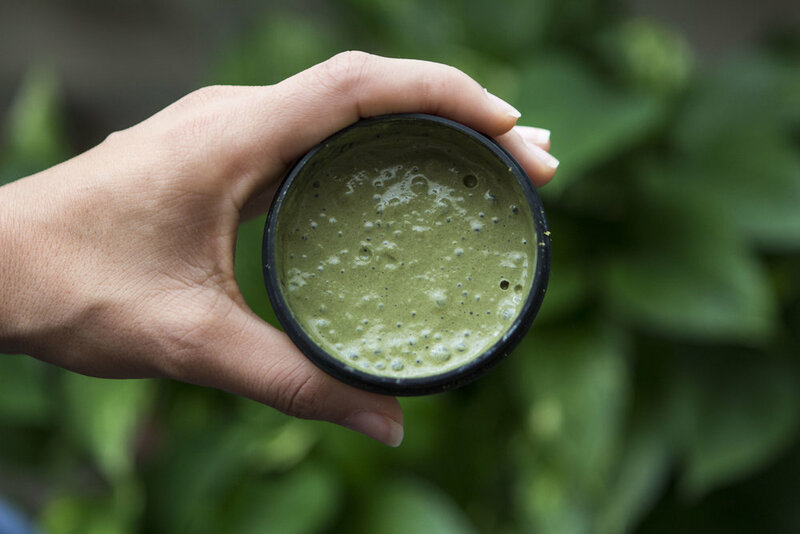 Below is a simple green smoothie recipe with a hint of Moringa powder for an extra dose of nutrition. Moringa can also be a healthy addition to your beauty regiment. It not only offers an array of rich vitamins and minerals, but it’s also known to have anti-bacterial, anti-inflammatory and anti-aging properties, which greatly complements the skin. So, pamper your epidermis with this easy face-mask D.I.Y! The combination of ACV, Bentonite Clay & Moringa lavishes the skin with a nice and thorough deep pore cleansing. Plus, the tingling and pulsing sensation lets you know it's taking full effect. Enjoy! Face Mask Directions: Mix all ingredients together in a bowl & gently apply to a clean face - avoid contact with eyes. Leave the mask on for 10-15 minutes - until mask hardens. Gently rinse face mask off with warm water and a cloth. When finished, apply a gentle facial moisturizer. 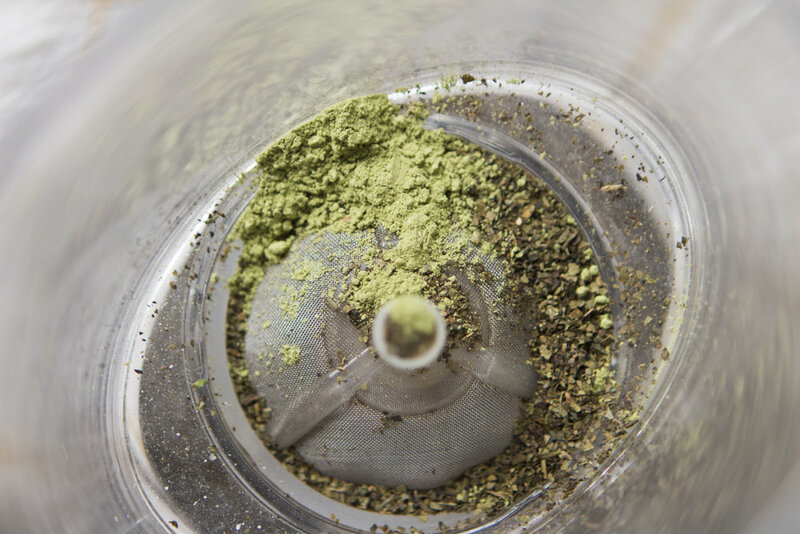 Interested in having your very own Moringa Powder? GRDN of YSMN sells it! Click HERE. I think you get the hint, Moringa is BOMB. And by its many contributions to health and beauty, it's taking over one city at a time. So, treat yo self with natures gift, Moringa. Stay Healthy, Stay Curious & Enjoy Moringa!